Hour of Code is a grassroots movement founded by national nonprofit Code.org to make coding more accessible. As part of Computer Science Education Week, students around the world will participate in Hour of Code, a grassroots movement founded by national nonprofit Code.org to make coding more accessible. Millions of people have joined Hour of Code at home, at school, and at events in their communities, learning basic coding concepts through free one-hour tutorials. For the third consecutive year, Minecraft and Microsoft have released a special Hour of Code tutorial in partnership with Code.org. The tutorial, Hero’s Journey, introduces a fun character called the Agent and 12 new challenges that teach core coding concepts like loops, debugging, and functions. So far, nearly 70 million Minecraft Hour of Code sessions have introduced coding concepts to learners in over 100 countries. This week, museums and schools across Seattle are hosting special Hour of Code events for Computer Science Education Week. The Living Computers Museum + Labs is offering three Minecraft Hour of Code workshops, and Microsoft stores in Seattle, Bellevue and Redmond are hosting Hour of Code events for students and families. Wrenchey says that it’s so important for students today to be comfortable with coding. “The world is changing quickly, and coding and logic activities are part of all our futures. We see more automation opportunities every day from self-driving cars to applications in restaurants for ordering and paying at the end of the meal. There will be huge needs for jobs like user-experience designers and cyber-security forensics engineers,” she says. In fact, the World Economic Forum predicts that 65 percent of children who enter primary school today will work in jobs later that don’t even exist yet. There is a growing need for students to build skills that will help them succeed in the 21st century workplace. Coding empowers students to go from simply interacting with technology to building their own creations, including apps and games, and exploring STEM careers. “We do a lot of different types of programming related to Hour of Code,” says the Living Computer Museum’s Education Coordinator Nina Arens. “In our workshops and field trips we work a lot with Scratch, Command-line workshops, micro:bit and mini-controllers that you can program. 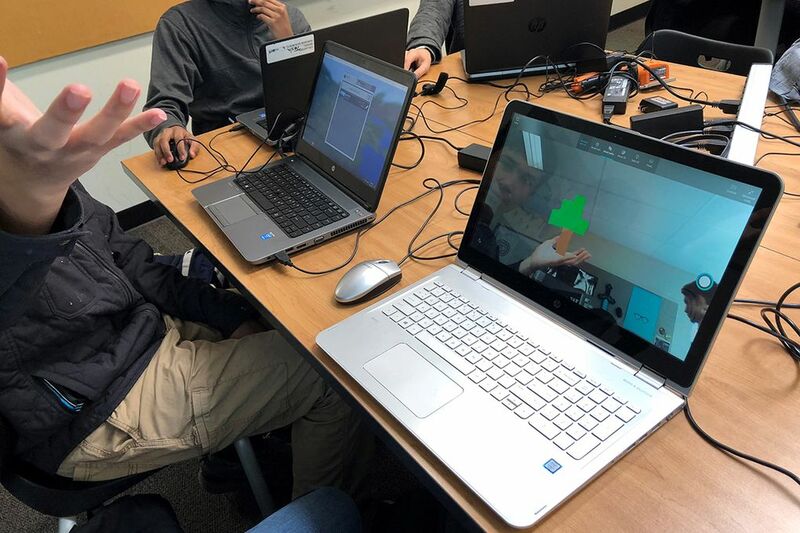 Along the way students learn project management, history of computing, intellectual property and think about art and design, in addition to learning the coding, the basic command line, conditionals and loops it takes to build a basic game,” she says. These types of skills can transform the way students think critically, express themselves and solve complex problems – and Hour of Code is a great place to start. The Minecraft team at Microsoft has partnered with Seattle area schools and educators to create the new Hour of Code tutorial and features in Minecraft: Education Edition. Get started coding for free today at code.org/minecraft.